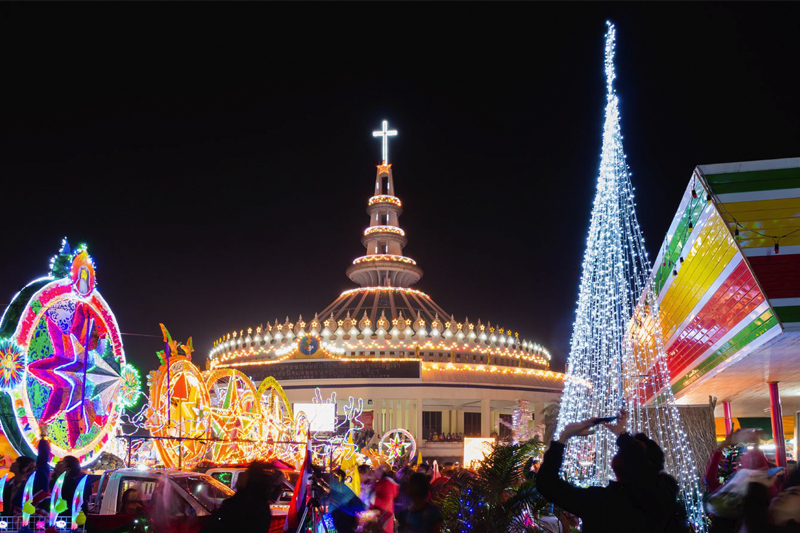 Christmas in Sakon Nakhon culminates with a “Christmas Star Procession”. The procession comes alive with more than 200 colourful floats festooned with Christmas stars. Among the festivities are a play about the birth of Jesus Christ, a performance by a choir and a workshop on how to make mobile stars.